Updated Friday April 12, 2019 by GYFC. Please be sure to read all the information before registering your children! Grafton Youth Cheer will create teams based on the divisions outlined by AYC. The divisions fielded and team placement will be determined based on registration totals. The following table outlines the possible configurations. Central Mass Cheerleading has 2 competitions every year and we as members are required to attend. Fun Comp usually takes place in September, and then Locals in October. If teams place in the top 5 for their division at Locals, then they move on to compete at States. The top 3 teams there go to Regionals and if they do well at Regionals then they may have the opportunity to compete in Nationals in December. Competition dates will be posted below under "IMPORTANT DATES" as they become available. cheerleaders, while all cheerleaders on a Division 8 and under will be considered exhibition cheerleaders. o August: Practice one hour 1-2 times a week between 5:30 and 8pm M-Th. o Sept-Nov.: Practice 1-2 times a week. One week night between 5:30 and 8pm M-F (Day TBD) and Sat between 9AM and 12PM. o August: Practice 1.5-2 hours 3-4 times a week between 5:30-8:00PM M-Th. o Sept-Nov.: Practice 1.5-2 hours 2- 3 times a week between 5:30-8:30PM M-F and Sat for 2 hours between 9AM and 12PM. Practices times can change as the season gets closer and practice locations get finalized. Also, additional practices can be added at the cheer coordinator and coach’s discretion. All practice times and additional practices will be confirmed by your coaches as the season begins. 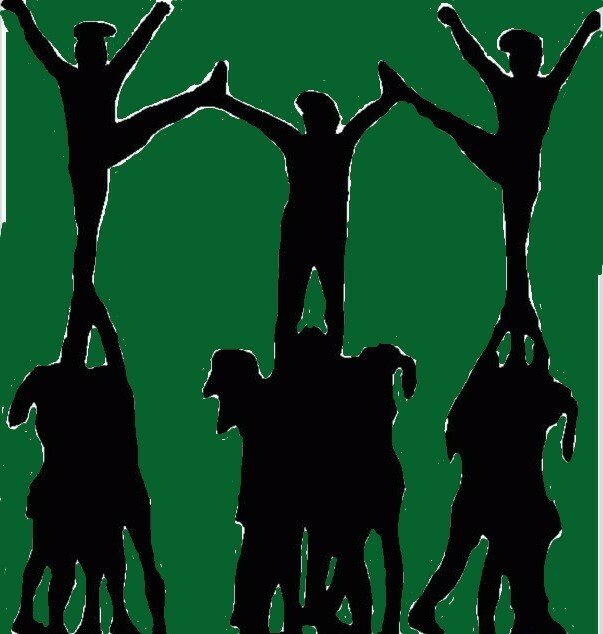 CHEER COMPETITIONS: All teams compete in at least 2 competitions during the months of September, October and November. GAMES: Most games are on Sundays but occasionally there can be a Saturday game. The league tries to schedule games whenever possible so that the younger players play earliest. Girls are given skirts, tops, and pom poms. A uniform deposit is required. This will be returned at the end of the season.